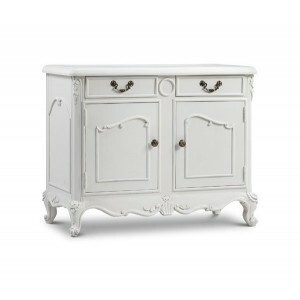 The Provencale antique white 2 door sideboard is crafted from mahogany. 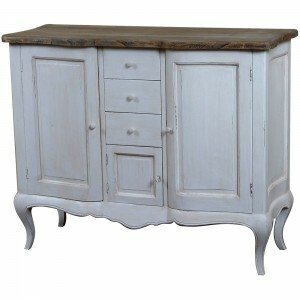 Featuring traditional French intricate carved details, this piece will bring elegance and sophistication to any room. Perfect as a living room chest, this piece could work well as a TV unit or as a storage cabinet. This piece is painted in a sumptuous off-white with a gently aged appeal and has 1 shelf internally.